If you are the kind of person who desires to travel, then a passport is an important document that you should always have with you. A passport ID is a document that grants you passage to any country for a small period. If you are planning on becoming a citizen of a certain country abroad, you have to adjust to the requirements and laws of the country. When you decide to apply for citizenship here in Australia, you need to have your non-English documents translated for the government to understand. Sydney Translations offers a quick and reliable solution to all your passport translation service needs. For more than seven years, we have provided high quality and accurate translation services all the while ensuring the clients’ needs are met, and documents adhere to the rules of NAATI. Your documents are important. One inaccurate translation will spell doom for anything you are applying for. If you nonchalantly assign your documents to anyone, chances are you are going to have a bad time. NAATI is the authority that governs the translation and interpretation industry. It takes massive work and effort to be NAATI certified but, you should not worry because we are. When you are doing your best to get a visa. You really should not take a chance with botched translation services. Order a NAATI passport translation service from us now. Sydney Translations is one of the leading language translation services providers in the country. Through the years, we have accumulated hundreds of experienced and talented NAATI certified translators. Each translator with its own native language to translate to and from. These translators work day and night to perfect their trade. And for the ones that did, they still continue to better themselves by searching for challenging translations to work on. Sydney Translations grew exponentially because of the heart that each and every translator put in every translation service they provide. We have the most dedicated NAATI translators in the industry and that is a fact. Aside from amazing and experienced translators, project managers are the adhesive that pulls them together. Project managers serve as the final hurdle that your document should jump through. They are the ones that provide challenges to translators by setting bars and ensuring the quality of the document is top notch. With their years of experience, you are sure that the translations we provide are of high quality and stay that way for years to come. If you have any queries of the sort, then it is best that you get in touch with us via the Live Chat feature. This connects you to our customer service representatives who are more than happy to assist you. Our customer service line is always online, so you can rest assured that you won’t be left hanging. When you are looking for high-quality passport translation services, there are some other companies that can do it. No problem. But there is no other translation company that can do a high quality and accurate translation as quickly as we do. We provide an express service if you are in hurry. This means that you will have your document translated in under 24 hours. Yes, you heard it. Your translation will be complete within 24 hours after you send us your documents. Isn’t that amazing? We are quick, and our translations are astronomically noteworthy. Surely, this does make your wallet worry. But we are not done yet. Sydney translations provide a fast, reliable AND affordable rates for everybody to enjoy. What are you waiting for? Order one of our NAATI certified passport translation services today for as low as $69! How quickly can you translated my passport? How fast do you need your passport translation? We provide an express service for if you have an urgent translation project. In just 24 hours, you will receive your translation. On the other hand, our standard passport translation service has an average of 2 to 3 working days turnaround time. Yes, it will be. We have NAATI translators who work day and night to provide you with accurate translations. Yes. For the past seven years, we have developed an online ordering process that’s efficient and easy to use. From the comfort of your home, you can order a translation from our website. No more taking trips and standing in line. Sydney Translations would rather you spend your time with more important matters. You can ask for a free quote. Send us a photo of your document and we will send you a quote in under 15 minutes. With an accumulated family of a hundred translators. We have amassed an amazing selection of languages you can choose from. Aside from that, Sydney Translations is still a growing translation service provider. We will be including a lot of other languages in this list in the following years to come. 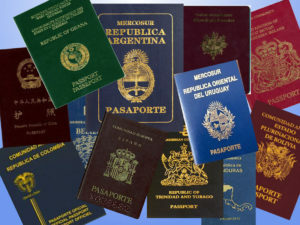 For translation of passport into English, the majority of 1 page passport are deemed as ‘standard documents’ and are priced at a flat rate per document of $69.00 per page. Order a translation today by following these steps. Fill in the details in the translation quote form. Then take a clear scan or photo of your documents. After obtaining the quote, you can complete your translation order via PayPal, credit card or bank transfer. As soon as your translation is complete, your document will be assigned to the team that can handle it. When the translation is done, we will send you a draft for you to check and review. If you like the draft, we will send you the final soft copy via email. Let us know if you require a hard copy so we can send you one via Australian post.